How do you teach an elephant to dance? How do you eat an elephant in 15 months? Where is all the elephant meat? The first Africa Delivery Exchange (ADEx), a recent workshop convened by the Tony Blair Institute for Global Change in Nairobi with the heads of “delivery teams” from seven African countries, was full of pachyderm-inspired metaphors. Not because we met near Nairobi’s famous wildlife park, but because of the weightiness of the issue that we’d gathered to discuss: how can teams in African Presidencies and Prime Minister’s offices drive their governments to deliver results for citizens whether that’s inclusive economic growth and job creation or an effective education system. Ray Shostak, former head of the Prime Minister’s Delivery Unit in the UK, reflected that delivery teams across the globe often find they need to gradually convince wary ministry colleagues that they’re there to support, not just hold to account. One delivery unit director at the ADEx described initially being perceived as “the police” and only over time winning people over by stepping in as a problem solver. Despite the promise of new information technologies, governments, non-state actors, and corporations worldwide are censoring vast amounts of information using complex and sophisticated tactics. The 2017 edition of Attacks on the Press, published today [Tuesday] by The Committee to Protect Journalists, chronicles singular methods of controlling the flow of information, including financial pressure on journalists and news outlets, exploitation of legal loopholes to avoid disclosure, and wielding copyright laws and social media bots to curb criticism. My Exfam colleague Kate Raworth’s book Doughnut Economics is launched today, and I think it’s going to be big. Not sure just how big, or whether I agree with George Monbiot’s superbly OTT plug comparing it to Keynes’s General Theory. It’s really hard to tell, as a non-economist, just how paradigm-changing it will be, but I loved it, and I want everyone to read it. Down to business – what does it say? The subtitle, ‘Seven Ways to Think Like a 21st Century Economist’, sets out the intention: the book identifies 7 major flaws in traditional economic thinking, and a chapter on each on how to fix them. The starting point is drawings – working with Kate was fun, because whereas I think almost entirely in words, she has a highly visual imagination – she was always messing around with mind maps and doodles. And she’s onto something, because it’s the diagrams that act as visual frames, shaping the way we understand the world and absorb/reject new ideas and fresh evidence. Think of the way every economist you know starts drawing supply and demand curves at the slightest encouragement. - Zadie Smith - novelist, short story writer, essayist, and a tenured professor in the Creative Writing Program at New York University. At times in the last few years”, writes Duncan Green in his recent book How Change Happens, “it has felt like something of a unified field theory of development is emerging”. As Hegel reminded us, however, the owl of wisdom flies at dusk. As recently as early 2016 (which is about when he wrote these words) Green’s exuberant enthusiasm was shared by many of us. But a year, we now know, can be an eternity. How Change Happens synthesizes a growing body of work that has aimed to move development scholarship and practice away from a pre-occupation with so-called ‘best practice’ solutions. It captures well the sensibility of the new literature – a paradoxical combination of the enthusiasm of a breakthrough and the pragmatism of seasoned practitioners who have learned the limitations of over-reach, often through bitter experience. But, as per Hegel, has our quest for useful insight reached its destination only to find that a new journey has begun, a different and more difficult journey than the one we had planned? In this review essay, I use the insights of How Change Happens to explore this question. I unbundle into two broad groups the categories of analysis Green uses to delineate the grand unified theory. In discussing the first group, I highlight what we got right about the drivers of change; in discussing the second, what we got wrong. I then suggest possible ways forward. A4AI is a global alliance of over 80 member organisations from across the public, private and not-for-profit sectors in both developed and developing countries, dedicated to ensuring affordable internet access for all through policy and regulatory change. The Affordability Report represents part of our ongoing efforts to measure progress toward affordable internet. The 2017 Affordability Report looks at the policy frameworks in place across 58 low- and middle-income countries to determine what changes countries have made to drive prices down and expand access — and what areas they should focus on to enable affordable connectivity for all. According to the Alliance for Affordable Internet (A4AI), for the first time ever the internet penetration will surpass 50 percent in 2017. However, in order to reach the Sustainable Development Goal (SDG) of affordable, universal internet access by 2020 there is more work to be done. Especially in eliminating an existing digital gender gap, as those not connected tend to be women in developing countries unable to afford access to the Internet. A4AI’s Affordability Report 2017 looks at the policy frameworks in place across 58 low and middle income countries and provides actionable steps countries need to take to enable affordable connectivity for all. The policy recommendations of A4AI focus on employing public access solutions, promoting market competition, supporting community networks, partnering to develop technologies, incentivizing infrastructure and resource sharing, making effective use of universal service and access funds, and ensuring effective implementation. This is the third post in a series of six in which Michael Woolcock, Lead Social Development Specialist at the World Bank and lecturer in public policy at the Harvard Kennedy School, discusses critical ideas within the field of Social Development. International migration trends have been the subject of fierce debate globally, and when you look at the data it’s no surprise why this is the case. In 2015, the number of international migrants was the highest ever recorded, reaching 244 million (from 232 million in 2013), according to the International Organization for Migration. Moreover, the number of people fleeing conflict has also risen. UNHCR, the UN’s Refugee Agency, estimates that 65.3 million people have been forcibly displaced from their homes, 21.3 million of which are now refugees, and around 10 million people are stateless. These massive flows of people, however, demonstrate the incredible capacity of social networks to help individuals navigate and deal with new experiences. For most migrants the choice to move is an existential one in which they weigh the risk it takes to make the journey with the potential opportunities it may bring. In doing so they consider where and how people they know have traveled before them, and which relationships they can tap into for support. Individuals living in diasporas also respond by sharing critical knowledge and tools, sending remittances, and in bridging the cultures between the newly arrived and their new communities. Jetlag is a book reviewer’s best friend. In the bleary small hours in NZ and now Australia, I have been catching up on my reading. The latest was ‘Building State Capability’, by Matt Andrews, Lant Pritchett and Michael Woolcock, which builds brilliantly on Matt’s 2013 book and the subsequent work of all 3 authors in trying to find practical ways to help reform state systems in dozens of developing countries (see the BSC website for more). Building State Capability is published by OUP, who agreed to make it available as an Open Access pdf, in part because of the good results with How Change Happens (so you all owe me….). But jetlag was also poor preparation for the first half of this book, which after a promising start, rapidly gets bogged down in some extraordinarily dense academese. I nearly gave up during the particularly impenetrable chapter 4: sample ‘We are defining capability relative to normative objectives. This is not a reprisal of the “functionalist” approach, in which an organization’s capability would be defined relative to the function it actually served in the overall system.’ Try reading that on two hours’ sleep. Luckily I stuck with it, because the second half of the book is an excellent (and much more accessible) manual on how to do Problem Driven Iterative Adaptation – the approach to institutional reform that lies at the heart of the BSC programme. Theresa May – Prime Minister of the United Kingdom since July, 2016. Quoted in the Financial Times, December 10, 2016, “Women of the year” by George Parker and Lionel Barber. This March 2017 report from Global Financial Integrity, “Transnational Crime and the Developing World,” finds that globally the business of transnational crime is valued at an average of $1.6 trillion to $2.2 trillion annually. The study evaluates the overall size of criminal markets in 11 categories: the trafficking of drugs, arms, humans, human organs, and cultural property; counterfeiting, illegal wildlife crime, illegal fishing, illegal logging, illegal mining, and crude oil theft. The combination of high profits and low risks for perpetrators of transnational crime and the support of a global shadow financial system perpetuate and drive these abuses. The report also emphasizes how transnational crime undermines economies, societies, and governments in developing countries. National and global policy efforts that focus on curtailing the money are needed to more successfully combat these crimes and the illicit networks perpetrating them. Climate change increases the risk of natural disasters and places a strain on livelihoods. This may contribute to high-risk behaviours and other negative coping strategies among affected populations, such as resorting to unscrupulous recruitment agencies associated with human smuggling and trafficking. This IOM infosheet explores the links between climate change, human trafficking and smuggling in the Asia-Pacific region. To address these challenges, the infosheet provides an overview of best practices from existing projects in the region. How can Information and Communication Technologies (ICTs) help solve the world’s toughest humanitarian challenges? Increasingly, more and more humanitarian agencies are realizing the potential of ICTs in reaching their overall mission. Drones delivering food and water, robots, off-grid power, wearables, mobile applications and artificial intelligence, all offer an enormous potential for solving world’s pressing issues. One of the examples of utilizing technology for humanitarian assistance is the introduction of the innovative smartphone app called SharetheMeal, that fights hunger one meal at a time. Introduced in 2015 by the World Food Programme (WFP), the world’s largest humanitarian organization fighting hunger, ShareTheMeal is a free smartphone app that allows iOS and Android users to donate $0.50 cents, enough to provide a child with vital nutrition for a day. This is a quick and easy way to help whenever you like. So far over 12 million meals have been shared. How can you change the world with just US $ 0.50? Can overhauling ‘teaching’ reform schools in Kenya? Kenyan schools are not doing well. About a 120 of them were set alight in arson attacks last year alone which were largely blamed on fears arising from a government crackdown on cheating in national exams. Amid national schooling reforms, many pupils and parents continue to be unhappy about the changes. Where do the teachers figure within this period of heavy reform? Although school enrolment has gone up steadily, over a million children are still out of school. In terms of learning outcomes, Kenya performs relatively better than its neighbours, but results from internationally recognised competency test, Uwezo, shows that learning levels are poor, and have stagnated over time. For instance, in the 2014 Uwezo assessment, 39% of children aged 7-13 years passed a test that required them to demonstrate competence of Standard 2 level numeracy and literacy. This was not significantly different from the performance in previous years: 40% in 2011, 37% in 2012 and 41% in 2013. Looking at student learning levels, both the best and worst performing districts in East Africa are in Kenya. The extremities in quality within Kenyan education are huge. For instance, according to the same Uwezo data, “a child in the Central region is over seven times more likely to have attained a Standard 2 level of literacy and numeracy than a child in the North Eastern region”. Fixing the education system in Kenya is an onerous task. The Government of Kenya has time and time again, reiterated its commitment to improving the state of education, and has outlined its vision in the National Education Sector Plan 2013- 2018. Alongside, a host of national and international development agencies in Kenya have over the years, financed numerous programmes, targeting various components of the education sector. These efforts have yielded a wealth of evidence. One should consider such evidence, while attempting to answer the question – how can we improve the quality of schooling in Kenya? One of the things I do in my day-a-week role at LSE is bring in guest lecturers from different aid and development organizations to add a whiff of real life to the student diet of theory and academia. One of the best is Owen Barder, who recently delivered a mesmerizing talk on cash transfers and the theory of change used by his organization, the Center for Global Development, which is one of the most effective think tanks around (although I don’t always share its politics….). Here’s the summary (and here are his powerpoint slides, if you want to nick them). Plus it’s good politics – cash stimulates the local economy, so local people are less resentful of the influx of refugees, and is more respectful – refugees don’t all want the same thing; cash respects their right to make decisions about their lives. - Janan Ganesh, a political columnist for the Financial Times. Previously, he was a political correspondent for The Economist. He appears weekly on BBC1's Sunday Politics television show and wrote a biography of George Osborne, the UK chancellor. A Year After Panama Papers, Is Enough Being Done to Stop Illicit Finance? One year ago today a group of more than 300 journalists in 79 countries sent a powerful message to the corrupt: you can no longer hide. The publication of the Panama Papers on 3 April 2016 was a shot heard around the world against corruption. Suddenly one of the most closely held secrets of the biggest criminals was revealed – where and how they hide their money. The Panama Papers showed how a Panamanian law firm helped set up 214,000 secret shell companies, many of them used by corrupt politicians, criminals and tax abusers around the world. The law firm, Mossack Fonseca, was just one of hundreds of law firms around the world that provide services that can be used to enable corruption, illicit financial flows, drug-dealing, terrorism, tax evasion and the surge in economic inequality. The Panama Papers showed how secretly owned companies are an important vehicle for corruption that allows secret movements of money and other activity away from the eyes of law enforcement, tax collectors, regulators and others. The report finds that although average human development improved significantly across all regions from 1990 to 2015, one in three people worldwide continue to live in low levels of human development, as measured by the Human Development Index. This is a concern in developed countries too, where poverty and exclusion are also a challenge, with over 300 million people – including more than one-third of all children – living in relative poverty. The report shows that in almost every country, several groups face disadvantages that often overlap and reinforce each other, increasing vulnerability, widening the progress gap across generations, and making it harder to catch up as the world moves on. Millions of people fleeing conflict and poverty are gambling their futures and life savings with people smugglers – strangers who play with their lives in dangerous cat-and-mouse chases with border authorities known as “The Game”. But who wins and who loses as rising numbers risk everything to reach safety? 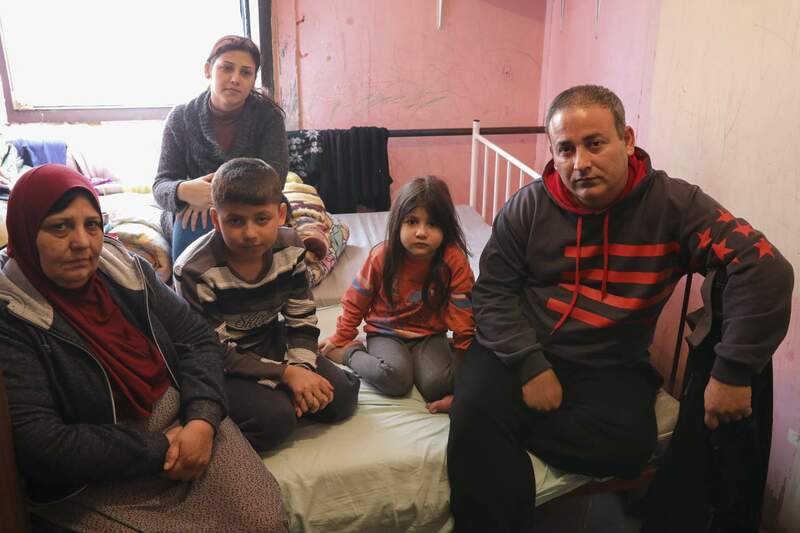 In the dead of night, as wild animals howled nearby, Syrian migrant Aras Mahmoud clung to his children as they slept on damp grass in the Bulgarian mountains en route to Serbia, praying that his family would live another day. "In those mountains, you are not sure if something will eat you or attack you," said Mahmoud, 38, in Arabic through an interpreter at a migrant centre in the Serbian capital Belgrade. "My two children got very scared. They used to tell me, 'No father, we don't want to go with smugglers, we don't want to go to the forest.' We suffered in the mountains." Scared and helpless, in those dark moments Mahmoud said he wrestled with his decision four years ago to gamble everything - his money and the lives of his wife and children - to pay nameless strangers to smuggle them to safety, becoming another pawn in the global people trade widely known as "The Game". "If you go, you succeed. If you don't go, you lose. That's why they call it a game," said 20-year-old Afghan migrant Ahmad Shakib who made it to Serbia from Bulgaria after three 'games'. It’s often a good sign when you rock up at a conference and hardly know anyone there. That was my experience at a recent, rather grandiosely-named, ‘Digital Development Summit’, hosted by IDS, Nesta and the Web Foundation, which clearly got people’s attention – the places were fully booked within a day of going live. Participants were diverse: developing country ministers, donor officials, tech company execs, AI pioneers, and civil society types like me. The topic was ‘the future of work in the digital age’ (see the IDS background paper for more details), and I got to listen to a day of presentations, taking in both the substance and the mood of the discussion. This topic, more than most others, attracts both tiggers and eeyores (for Winnie the Pooh fans – optimists and pessimists, if you’re not). The tiggers bounce around telling stories of amazing start-ups in African slums, or how drones are about to start delivering aid; the eeyores sigh and say ‘every driver in America is about to lose their job to driverless vehicles, and developing country jobs are even more at risk’. Both were represented in roughly equal numbers (and some people seemed to move from one to the other at a startling rate). Who’s right? Jean-Claude Juncker - The President of the European Commission. Quoted in Financial Times print edition March 25, 2017 "Lunch with the FT" by Lionel Barber.